The video shows the latest updates of television shows and actors. Right from Surbhi Chandna to Yeh Unn Dino, Aapke Aa Jaane Se, Patiala Babes And much more. 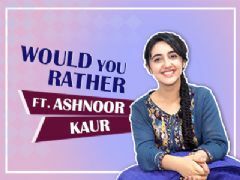 User Comments on video titled "Yeh Unn Dino, Rohan amp; Avneets Poster, Surbhi Chandna New Show | Telly Updates1"
Ashi Singh Randeep Rai you guys r superb as sameer naina. Loving Yeh Un Dinon Ki Baat Hai. Ashi Singh and Randeep Rai as well as the whole team of Yeh Un Dinon Ki Baat Hai deserve to celebrate many such milestones. Yeh Un Dinon Ki Baat Hai is the most brilliant show ever. Ashi Singh Randeep Rai lovely jodi. Yeh Un Dinon Ki Baat Hai is the best, excited for upcoming tracks.